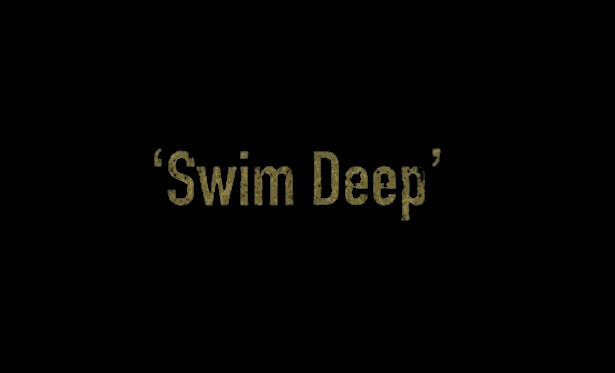 "Swim Deep". Another great and fast-paced episode of Dexter aired last Sunday. This season continues really strong. Hit the jump below to tell us your thoughts about "SWIM DEEP" (in case you didn't), to see DexterDaily's review in GIF form, and the highlights of episode 7.05 which was written by Scott Reynolds! -The opening scene, Dexter is cleaning his boat. He finds Louis' blood and wonders whose blood it is. It was about time to learn that someone died there. -Masuka tells Deb about Laguerta's bllodside with Travis' blood. Deb sees Lundy's notebook about the BHB case on Laguerta's office, and few minutes later she learns that Captain is thinking that Doakes was not a killer and BHB is alive. -LaGuerta had been gathering the missing persons reports of people since the Bay Harbor Butcher's death and planned on interviewing the families to see what she can uncover. -Epic scene alert: Deb at the elevator. Give her an Emmy already! -Dexter learns that the blood on his boat belongs to Louis. Then, Deb tells Dexter about the bloodslide and she reveales to him Laguerta's next steps regarding the case. -When Dexter goes to his apartment, he sees the blinds open and immediately backs away from the door. Isaak is waiting inside, with his gun and what looks like his own tools to cause 'great' pain. -And because Dexter is a smart guy, he coaxing out whoever's inside his place by leaving a voicemail from a man named 'Sam' about meeting up. -Isaak shows up at the cafe "Sam" said they were to meet at. During the conversation we learn that he believes that Miami Metro worked together to kill Viktor. -Deb goes mad when Dexter says that he killed Viktor and now no one's safe. -On the Hannah McKay case, we she her back to Miami metro helping solve the case with the buried bodies. Dexter figures out isn't all that remorseful of her and her partner's killings, but is actually nostalgic. -Deb saves Dexter! She and Laguerta visit one of the victim's house. On one of the family photos Deb sees Dexter in a wedding, the night the victim was murdered. She volunteers to take the photos back to the station to look through. -"That's my story and I'm sticking to it". Dexter tells hannah that he knows that she killed the male victim. Loved Hannah's reaction. -Dexter finds out that Isaak is the leader of the Koshka brotherhood, and that they're involved in the drug trade. So he lures him into a rival's hangout, expecting him to be killed. Isaak (or terminator) manages to escape, he get injured and leaves blood at the scene. -Quinn finds a bag of dirty money from the Koshka brotherhood in his car. What will he do? -The police pins Isaak on the deaths and lock him up. Dexter visits him in prison, he says he killed Viktor for the detective's death out of revenge. Great scene and great perfomance from Ray Stevenson. -In the final scene of the episode we see Deb and Dexter at his appartment. She revealed that she lied to Batista to him, and that she saved him. It was a classic and beautiful scene between them. Dexter burns the photo which prooves that he's the Bay Harbor Butcher. What did you think of episode 7.05 "Swim Deep"?